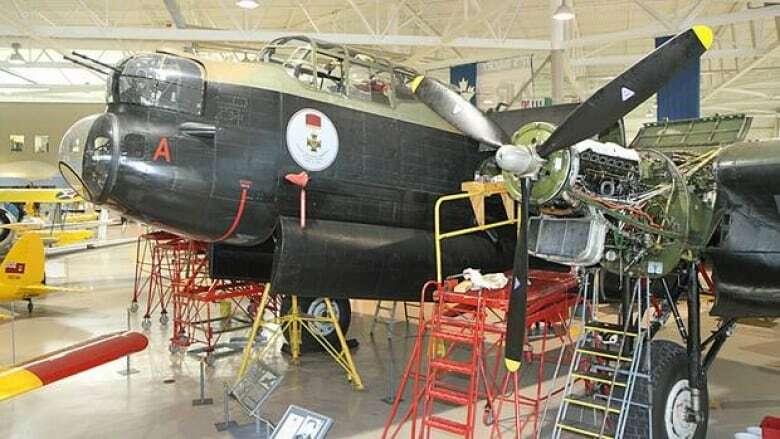 Hamilton's Canadian Warplane Heritage Museum is making a public plea for donations to help keep its famous World War II Lancaster bomber flying. Hamilton’s warplane museum is making a public plea for donations to help keep its famous World War II Lancaster bomber flying. "We expect the Lancaster to be flying at the June airshow," says Al Mickeloff, spokesman for the Canadian Warplane Heritage Museum. "But there is a bit of urgency — we need to come up with the money to pay for the current engine, and there are three more that need to be done after that." It costs about half a million dollars a year and countless volunteer hours to do the regular maintenance on the Lancaster. Overhauling the four engines every few years costs an additional $500,000. "Each engine on the aircraft has an 800 hour flight time before it requires a major overhaul," museum president and CEO Dave Rohrer told CBC Hamilton. That works out to an overhaul about every 15 years, based on the roughly 55 hours the museum currently flies the aircraft annually. 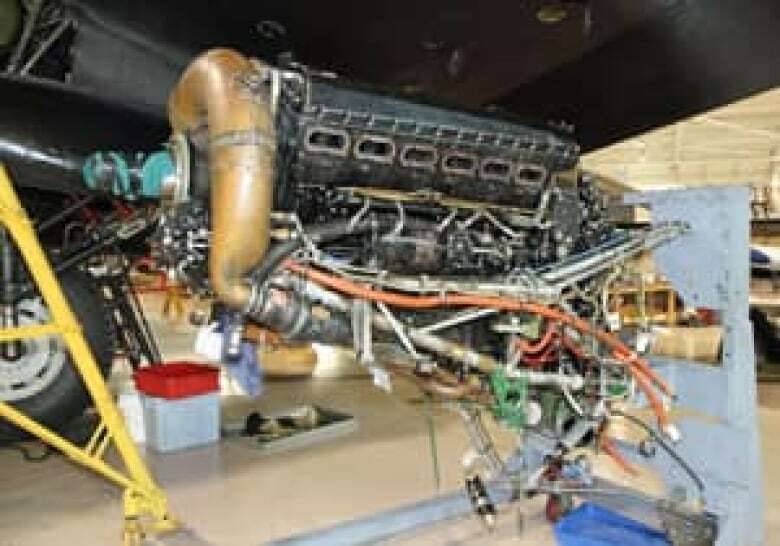 The museum has one spare Packard Merlin 224 engine for its four-engine Lancaster. As part of the overhaul schedule, the museum swaps out one engine at a time and sends it to a specialized shop in San Jose, Calif., for service. When the engine is rebuilt and returned, it’s swapped for the next engine. This process continues until all four engines are finished. The museum identified some premature metal wear in the No. 1 engine, Rohrer said, which was why it was the first one removed from the aircraft for servicing, but all four engines were due for an overhaul. "Right now, all the engines are in their last stage of life. We need to secure funding to sequence through all four engines over the next 18 to 24 months so that we don’t interrupt our flying schedule," said Rohrer, a retired RCAF officer who currently pilots Bombardier Global Express corporate jets and who is also one of the world's few pilots trained to fly the Lancaster. The museum has to pay for the engine work up front, so it’s starting the fundraising drive now to get the money needed to finance the work it knows will have to be done in the coming months. "If we were deficient in funding it could have the effect of putting the plane on the ground, and obviously nobody wants that to happen," Rohrer said. "But if Canadians and the international and corporate communities respond as they have in the past, we should be able to continue to run without a noticeable stoppage in aircraft operations." Rohrer said the museum needs to raise the first $150,000 no later than May 1. It needs to secure another $150,000 by September, and the remaining $200,000 by the end of the year. "A lot of Canadians, and people around the world, have such a huge emotional attachment to the Lancaster," Rohrer says. "It's an honour to be able to present this aircraft in a living way to those people, and this money is necessary to allow us to continue to do that." The Lancaster in Hamilton is one of just two of the famous World War II bombers in the world that are still airworthy. The other is in the UK, owned by the Royal Air Force and flown out of Royal Air Force Coningsby in Lincolnshire. "The Lancaster is the crown jewel of our collection," Mickeloff said. "When we got it flying years ago, the museum changed – suddenly we became known as the museum with a flying Lancaster." But the costs of keeping the venerable bomber in the air have soared in recent years, making the Lancaster an extremely expensive flying exhibit. "When we restored the Lancaster back in 1988, refurbishing an engine cost about $25,000. Now it’s at least $125,000 each," Mickeloff said, and the price can top $150,000. "It’s a combination of things. Parts are rarer, people with the expertise to do the work are getting harder to find." He adds that some spare parts simply don't exist. Replacement Lancaster engine pistons, for example, aren’t made any more. "Now we use pistons from Roush Racing, and I can tell you they aren’t cheap," Mickeloff said. Less than 1 per cent of the museum’s budget comes from the government. The rest is a combination of private memberships, corporate donations, and money raised through everything from airplane rides to renting out the museum for weddings. "We stay in operation through our own ingenuity and creativity, and the generosity of donors," Rohrer says. The cost of refurbishing the Lancaster’s engines has outstripped the museum’s ability to fund the work through regular donations, so it has turned to the public with its Lancaster Engine Fundraiser. Tax deductible donations can be made through the museum’s website. People can also support the maintenance effort by becoming a member of the museum, Mickeloff said. By upgrading their membership to "crew member" (a limited number are sold each year at a cost of $2,500), they're eligible to book flights on museum aircraft — including a flight on the Lancaster. "People come from all over the country, and all over the world, to fly in the Lancaster," he said. The last time the museum had to go to the public for financial help for the plane was 2009, when it needed $100,000 for new propellers. "We were completely shocked and in awe at the support from the public — we were able to buy the propellers we needed to keep the plane flying," Mickeloff said. "We had many smaller donations, but we also had a $10,000 donation from a local individual – the response was amazing." Rohrer said it took about 90 days to raise the money for the propellers. "We're hoping for a similar response to fund the engine work." The Lancaster, the Royal Air Force’s only heavy bomber capable of carrying up to 22,000-pound Grand Slam bombs, was one of the most famous aircraft of World War II. More than 7,300 Lancasters were built in Britain and Canada. Hamilton’s Mynarski Memorial Avro Lancaster Mk X bomber was built at Victory Aircraft in Malton, Ont., in 1945. It didn’t see action, but was used to train air crews and later for coastal patrols and search-and-rescue work. It was retired in 1963, and the museum bought it in 1977 for about $10,000. Volunteers spent 11 years restoring it. The Lancaster is celebrating its 25th year of flight operations at the museum. Hamilton also has five of the nine pilots in the world trained to fly the aging bomber. "Hamilton has the most experienced Lancaster pilots in the world now, because we’re pretty much the only place still flying one," Mickeloff says. "Flying the Lancaster is a more exclusive club than being a space shuttle pilot," Rohrer laughs. The museum’s Lancaster is dedicated to the memory of Pilot Officer Andrew Charles Mynarski of 419 (Moose) Squadron, 6 (RCAF) Group, who won the Victoria Cross for his bravery. In the early morning hours of June 13, 1944, the Winnipeg native's Lancaster was shot down. Instead of bailing out, Mynarski – his clothes burning – tried to free the trapped rear gunner. The gunner survived the crash, but Mynarski died from the burns. Hamilton’s Lancaster features prominently in Air Aces, a six-part historical documentary series that made its debut on the History Channel in January. The third episode, Wing Walker, is about the crew of bomber ME669 of the RAF’s 106 Squadron. It premiers on History Channel Canada tonight and will air again over the coming weeks. Few Lancaster crews made it even to the half-way point of the 30 missions they were expected to fly during the war. ME669’s crew avoided disaster until its 30th mission. "It’s really an amazing story, and the pilot was Canadian, Fred Mifflin," says Nick Godwin, head of documentaries at Toronto’s Cineflix Productions, which made Air Aces for History Television Canada and The Military Channel. "During the mission they’re attacked, the plane catches fire, and a man named Norman Jackson does something absolutely insane — he climbs out onto the wing at over 200 miles an hour and he puts the fire out." The museum’s chief pilot, Leon Evans of Fonthill, Ont., flew the Lancaster for the Air Aces sequences in the summer of 2012. The scenes of the aircraft over water were done above Lake Ontario near the city. The airstrip scenes were done at an airstrip in Brantford, Ont., and the interior footage of the Lancaster was filmed at the warplane museum in Hamilton.